Established the Commission for Human Rights. Passed the Aid to Families with Dependent Children Act. Approved a comprehensive marriage code. Created a program to provide aid to the disabled. Provided funds to assist prospectors. Adopted the King salmon as the official state fish. Authorized funds for an Alaska exhibit in the New York World's Fair of 1964-1965. The Alaska Statehood Act allowed the new state to select 104 million acres of land, and provided that Congress would resolve Alaska Native land issues in the future. Not surprisingly, this dichotomy led to conflict. One of the more controversial land disputes was the proposal to build a massive dam on the Yukon River at Rampart Canyon. After much debate, the Legislature created the Rampart Dam Development Committee, and the Senate passed a resolution urging the federal government to authorize the multi-billion dollar project. Although the Rampart Dam was never built, the project gained national prominence and was a harbinger of future issues over conservation and Native lands. 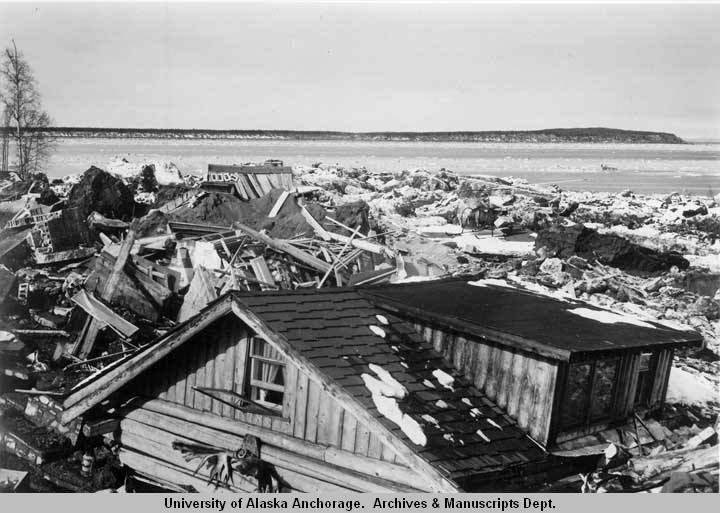 On March 27, 1964, the massive Good Friday earthquake rocked Southcentral Alaska. Industry and government responded swiftly and Alaska recovered relatively quickly. The Legislature passed a number of laws to provide aid to earthquake victims. The federal government authorized matching grants, and the Governor called a special session to consider appropriating state money to leverage those grants. Relief included retiring or adjusting outstanding mortgage obligations for houses that were damaged in the earthquake, and issuing bonds in the amount of $17.8 million to assist with earthquake recovery. 1n 1963, the Alaska Marine Highway adds three ships to the fleet and extends ferry service to Ketchikan, Petersburg, Sitka, Wrangell, and Prince Rupert, British Columbia. In 1964, a fourth ferry, the M/V Tustumena, begins service to Southwest Alaska. On November 22, 1963, President John F. Kennedy is assassinated by Lee Harvey Oswald in Dallas, Texas. President Lyndon Johnson signs the Civil Rights Act and Voting Rights Act. U.S. weather satellite Nimbus I launches.